Upstate Dumpsters: You Toss It, We Haul It! Dumpster, Roll Off Containers, Full Service Cleanouts Since 2004! "Josh and his guys were great! They delivered my container on time, placed it gently on my lawn and removed it without any noticeable damage. This is a first class operation and I would recommend them to any home owner or business." 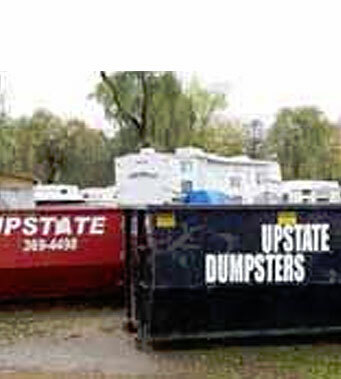 Upstate Dumpsters is proud to be a locally owned and operated dumpster rental business serving the greater Capital District region of Saratoga Springs, & Albany, NY. 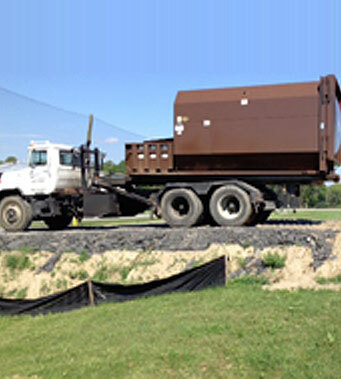 Our roll-off dumpster rentals, cleanouts, and demolition services are affordable and come in various sizes, so you can be sure that if you call Upstate Dumpsters, you'll be getting exactly what you need at a great price. Whether your project is big or small, long-term or short-term, we can help.